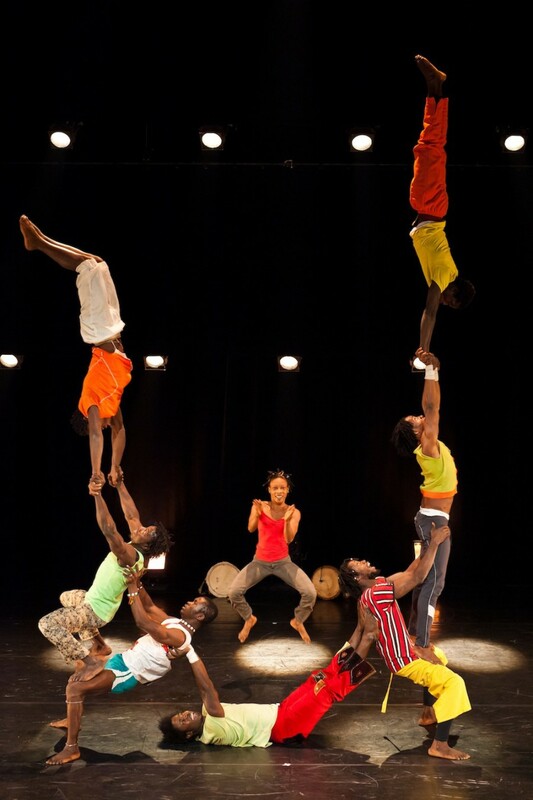 Foté Foré sees trailblazing Guinean circus troupe Cirque Mandingue mix high-energy acrobatics and street dance against a backdrop of live West African drumming and hip hop beats. 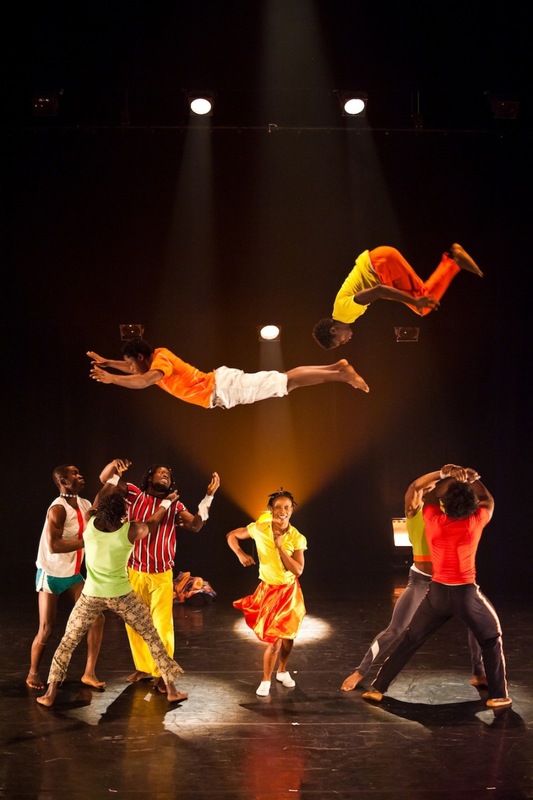 Their debut show, Foté Foré has catapulted them into the international arena and features an amazing ensemble of performers blending traditional and contemporary circus, dance and music to bring the Guinean streets to the stage in this high octane show. Foté Foré premiered as part of CircusFest 2012 at London’s Roundhouse and then went to Southampton’s Nuffield Theatre. 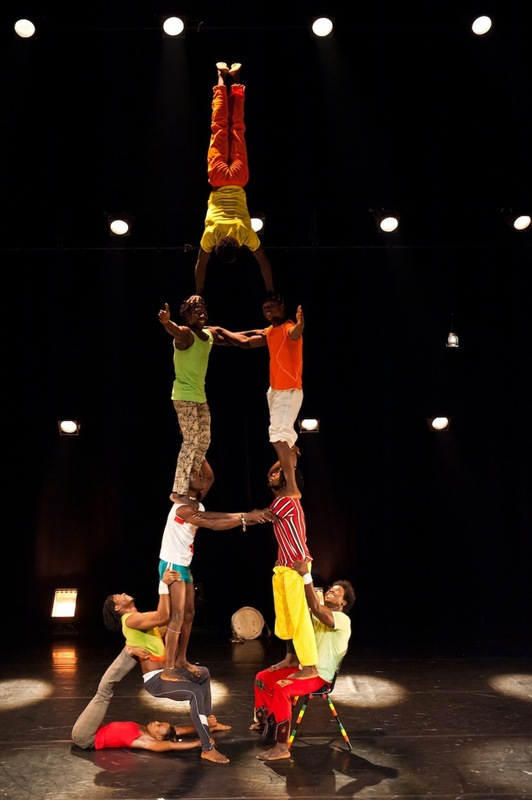 Cirque Mandingue was formed in 2009 following a meeting at the second Pan-African Cultural Festival in Algiers between French artistic director Luc Richard and a dozen Guinean artists, four of whom were members of Circus Baobab. All circus lovers, they had a common dream: to put together a circus school in Guinea and create shows together. From this Foté Foré was born, launching the new company and their first show into the international circus scene.